Well, this is fun. Tim Worstall, a right-wing ‘economist’, who 9 months ago wrote a nonsense post calling me a ‘blithering idiot‘, has surfaced again. Mr Worstall takes pride in a somewhat ‘fruity’ approach to language and considers himself an exemplary ‘straight-talker’, passing off a lack of tact and insight as directness. Well, the passage of time hasn’t mellowed his approach. Apparently, I’m now a ‘lying lefty scumbag’. Time hasn’t improved his grasp of fact and logic, either. I won’t link to his post, as I have no wish to stroke his ego by directing more traffic to his site – if you’re really keen enough to go and look, you’ll find him quickly enough via Google (other search sites are available! ), but I’ll quote him directly and without editing his claims so you can make a fair judgment. Now, given the topics I write about, I expect a fair amount of insult and diatribe. It never troubles me overmuch, because I know that insulting language and ad hominem attacks are a common tactic for those lacking a credible counter-argument. The only small problem with Mr Worstall’s ‘demolition’ of my argument is that he’s demolishing something I haven’t said. 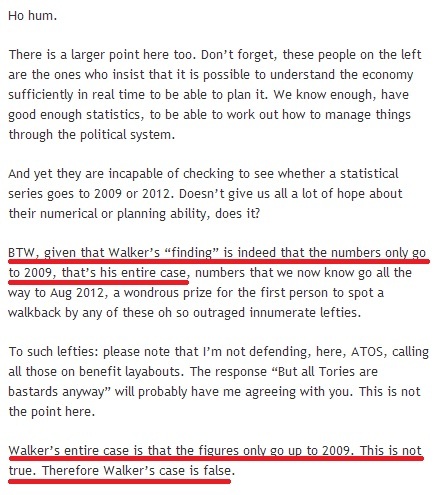 My case, entire or otherwise, doesn’t rest on the existence or otherwise of disability claimant statistics up to 2012. The government’s latest statistics on some aspects of disability claimants does, of course, go up to the recent past. But the government’s statistics on the drop in claimants when Incapacity Benefit (IB) was replaced by Employment Support Allowance (ESA) only goes to 2008. It only can apply to 2008 – because that’s the only time the switch took place. Which is exactly what I said in the first place. I will agree that I cannot see any mass fleeing of disability allowance in those figures. That’s right. Of course, he can’t see any such thing – because it didn’t happen. The statistics on claimant changes because of the IB-to-ESA switch (not DLA) can’t apply to the statistics Mr Worstall ‘discovered’ – because it happened only once, in 2008. The government and its tame media are presenting something that happened 5 years ago as if it happened now, to imply that the government’s ludicrous and callous benefit changes are not only necessary but are actually working. The statistics don’t show anything of the sort – and in fact, because of when the period they do apply to, they show the exact opposite. That was (and is) my ‘entire case’. If Mr Worstall is able to show that to be untrue, he should do so – and if he can’t, he’d be better keeping his mouth closed rather than ‘removing all doubt’. Tech tip. Use the SureShot plug-in for FireFox or IE. It allows you to capture a whole webpage (even the part hidden off the bottom the screen). You can then crop in Microsoft Paint. Other plug-ins and paint packages exist. Back to the topic at hand. I’m a bit confused. Aren’t the government figures for those leaving in the more recent months as the ATOS system started. In which case the date of 2008 as people switch from IB to ESA means nothing. As to the tactics. They are nothing new. The Labour government did the same thing. Thanks for the tip – that’ll be very useful. I normally use Chrome but can use Firefox for that task. The government has figures for people ruled out of disability benefit by Atos, but not for those who didn’t proceed with their claims (that I’ve seen). But the 878,300 figure definitely comes from the 2008 statistics – the government is using old information to attempt to show its current actions are necessary and effective. In other words they have lied. To the whole nation. On what has to be a rather important matter, considering the kind of disablist hate crimes that goes up everytime this kind of event occurs. 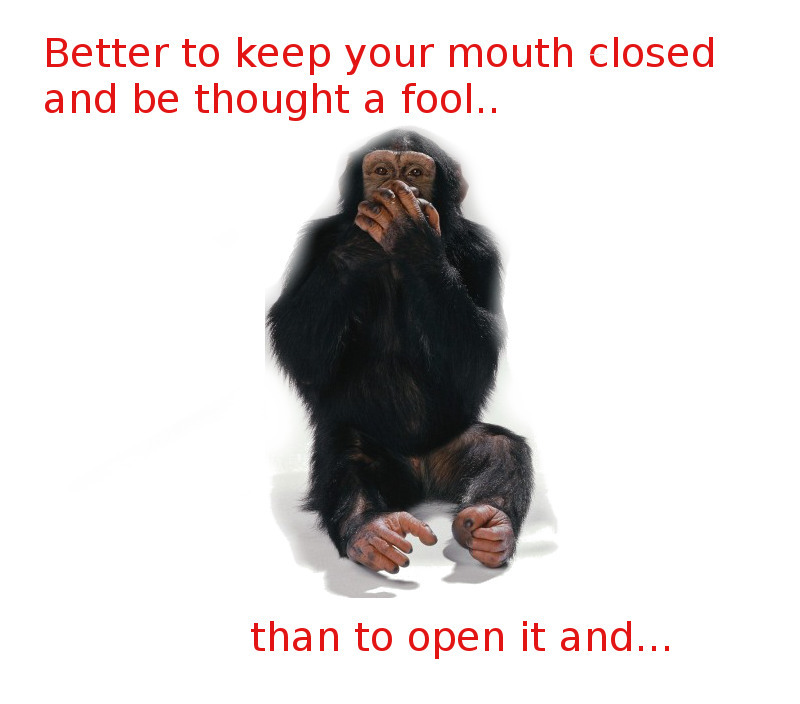 ‘People in glasshouses…’ comes to mind. I find these objectionable people are not worth bothering with. Stay true to what you believe and you will always win the argument. Tim Worstall’s downloaded figures appear to be for DLA rather than Incapacity Benefit which was what the original article was about. Although IB was changed to ESA in 2008, those who were already on Incapacity Benefit were not immediately reassessed and that is only just taking place. However, I can’t see where the 900,000 came from or how they can tell why claims were dropped. Could be a variety of reasons. I’ve seen the forms and they are rather daunting so wouldn’t be surprised if people were put off. This is known as the fallacy of ‘argument by selective reading.’ It is when a person refutes a minor part of the argument and then tries to make out that he has demolished the whole thing. It is a littler embarrassing, in my view, that Mr Worstall failed even to refute the minor point that he homed in on. He gives us Tims a bad name! Migration from IB to ESA is ongoing. It might have started back in 200whENever but it’s a process that continues to this day and it will do for some years into the future. you do know that, right? I can’t see where you’d get the idea it only happened in one specific year, it’s not like everyone got migrated at once. Am I missing something? The *only* time you could measure a discontinuation PD claims and attribute it to the change is when it changed. After that, you have no way of knowing the reason. The figures were used by the Express in 2011 and haven’t changed since, so they’re using the 2008 figures. No question or dispute about it. 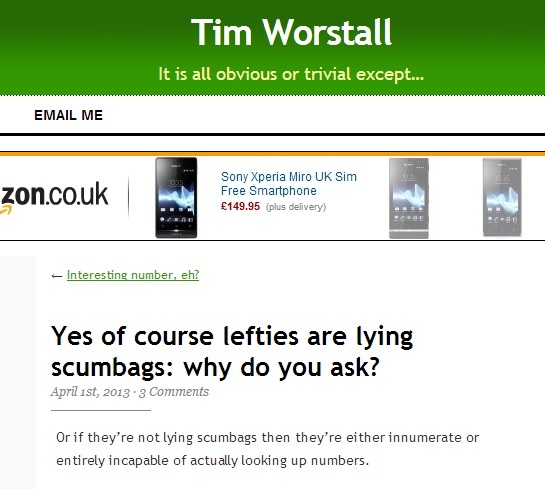 I agree that Tim Worstall has no right to criticise you as he is not even using the correct figures. However, not everyone changed from Incapacity benefit to ESA at the same time. Those on incapacity benefit are still being reassessed so the figures could possibly have changed since 2011. It would be interesting to see the government figures that supposedly show how many claimants have dropped their claims and why. Fact Check needed. No – the figures for people who *discontinued an existing claim*, which is what the Telegraph article and Shapps referred to, can only have been measured at that point. New claims not followed through or never made wouldn’t apply to the ‘discontinued’ figure. “because I know that insulting language and ad hominem attacks are a common tactic for those lacking a credible counter-argument. Rings far more true with the likes of Richard Murphy than it does our Timmy. More nonsense. Then, it would have to be to support the rubbish he spouts. Where is the drop of 878300 supposed to have occured. I can’t see a drop of that magnitude in 2008 or anywhere? Am I just a thicko? More details are coming out. They’re adding up a ‘churn’ of people who go back to work or get better before their claim is finalised – which is entirely normal and almost the same number every month. So the distortion is even worse than it appeared at first.